With three of seven spots on the St. Helens Arts and Cultural Commission vacant and no applications submitted to fill those roles after months of promotion, the future of the commission had been uncertain. A shift in focus seems to be bringing a wave of new energy into the commission, however, given conversations between an ACC liaison and the City Council at a work session Wednesday, Dec. 19. The city's arts commission is shifting its focus to one major community project at a time. 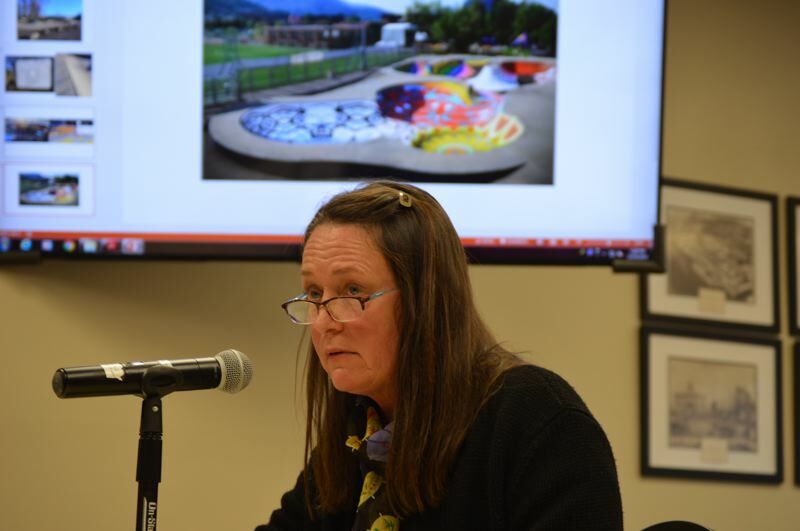 During the work session, ACC member Lisa Brooke spoke with the council about the desire to help revitalize the skate park in McCormick Park by painting a series of student- created murals inside the bowls. The skate park in McCormick Park was installed in 1999 and, as it approaches its 20th anniversary, Brooke said a lot of positive momentum could be built around the project. Earlier this year, Brooke described the commission as going through an identity crisis with a number of vacancies on the board unfulfilled and many senior members stepping down. During the meeting Wednesday, Brooke reflected on that sentiment and what the commission members felt they should do going forward. Commission members felt it would be best to work with the city to identify areas of need where the ACC could focus its energy, she said. "We decided our jobs should be, how can we serve the city and strengthen our numbers through one project?" Brooke said. Helping teens work with artists to design original art and murals that could be painted at the skate park bowls was one way to do that. It would also provide teens a sense of ownership over the space, and help them feel included in the community, Brooke added. The key will be for the city to first conduct maintenance at the park. Certain areas of the park are showing signs of wear and tear and cracks and chunks of concrete make it difficult to skate. "I see this new project as collaborative," Conn said. "And I see it as reversing direction." The hope is that more people will observe the project as it unfolds and want to become involved with the ACC as well. The ACC is not the only city-chartered volunteer organization to be struggling this year with recruiting. In September, the City Council passed a resolution to establish the Parks and Trails Commission, which was a merger of the city's former Bicycle and Pedestrian Commission and Parks Commission, after the Bikes Commission was having difficulties filling open positions and had to cancel its meetings due to a lack of quorum.